Brought to you by Astra Concerts. 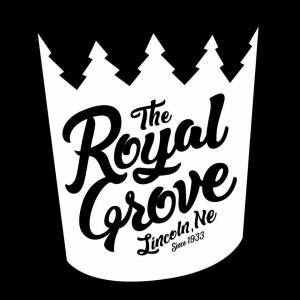 Taco Loco Lincoln Dig-N will be on site serving up delicious tacos, burritos, quesadillas, and more! Zone 1 VIP - $100.00 - Located nearest the stage, Zone 1 VIP tables are sold as a unit and includes reserved VIP seating for 2, 2 GA tickets, and 2 drink tickets worth $5 each. Zone 2 VIP - $200.00 - Located in the first floor lounge, Zone 2 VIP tables feature great sight lines of the stage, reserved VIP seating for 4, 4 GA tickets, and 4 drink tickets worth $5 each. Zone 3 VIP - $160.00 - Located on the 2nd floor, Zone 3 VIP tables include balcony access for great views of the show, reserved VIP seating for 4, 4 GA tickets, and 4 drink tickets worth $5 each. Sir Mix-A-Lot parlayed a gonzo tribute to women with large buttocks into hip-hop immortality. 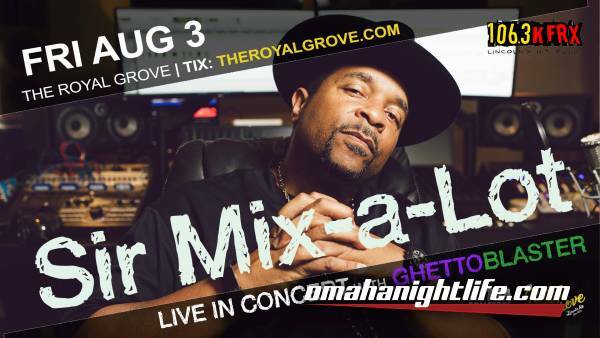 But even before he struck crossover gold, Sir Mix-A-Lot was one of rap's great D.I.Y. success stories. Coming from a city - Seattle - with barely any hip-hop scene to speak of, Mix-A-Lot co-founded his own record label, promoted his music himself, produced all his own tracks, and essentially pulled himself up by the proverbial American bootstraps. Even before "Baby Got Back," Mix-A-Lot was a platinum-selling album artist with a strong following in the hip-hop community, known for bouncy, danceable, bass-heavy tracks indebted to old-school electro. *Best known for his worldwide hit "Baby Got Back"
*Nicki Minaj's latest single "Anaconda" samples "Baby Got Back"